I find myself explaining the importance of quality score on a fairly regular basis. When explaining it to someone with little undertsanding of AdWords, they can have a hard time grasping it. But, if you are using AdWords, it is one of the most important factors for you to pay attention to. So do you know what it is? No? Well let me explain. 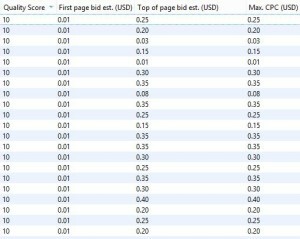 A quality score is assigned to each one of the keywords that you are bidding on in your AdWords account. The score ultimately determines what you will pay to show up in search results. The higher your quality score (on a scale from 1 - 10), the lower you will pay-per-click. If you have a very high quality score you can even pay less to be in position 1 than the advertiser is paying in position 2! Click-through-rate boils down to how frequently your ad is clicked in comparison to how often it is shown. CTR is calculated by clicks divided by impressions. AdWords looks at the historical CTR of the your overall account, your ads, and your keywords. If you have a an account with a very high CTR overall, chances are you have done a great job organizing the account and are paying less than the average advertiser! They look at the display URL in your ad. The reason that Google utilizes this to assign quality score is that ads with high CTR tend to be well written, well organized, and provides specific information related to the search. Simply put, they just tend to be better ads. Relevance is based on how your keywords relate to ad copy and then how those relate to the landing page. Other things are taken into consideration here such as geographic relevance and device relevance. If your product/service is only applicable to people in Detroit but you are showing your ad in Tampa, FL...you will get a lower quality score. In regards to devices, if your product/service are serving ads to people that are incredibly useful for mobile visitors and your landing page is mobile friendly, it will have a higher quality score than a non-mobile friendly ad/landing page/product/service that is being served on a mobile device. Why Does Google Use Quality Score for AdWords? Google's main product is providing a good user experience for it search users. This includes paid ads. By rewarding advertisers with a lower cost-per-click for providing their users with a good user experience, they are able to still make money but also protect their product. It also gives advertisers a metric for continually improving their accounts to make sure they are performing as well as they should. Understand quality score now? Hopefully I didn't use too much technical jargon, but if you still have questions leave them in the comments or reach out to us directly! 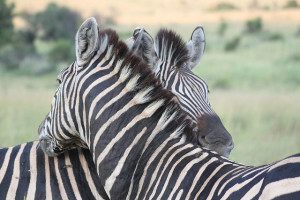 Want to know more about PPC? Get your copy of our PPC eBook! It will give you some tips on achieving higher quality scores.